Bollywood’s dancing diva Madhuri Dixit Nene will take Bollywood fans on a nostalgic trip as she pays tribute to her contemporary of the 1980s, the late Sridevi, at an upcoming award ceremony. The event, scheduled to be held on Sunday, will extend its support to the United Nation’s HeForShe cause and will see B-town stalwarts lend their support for the initiative. Male artists pledge to stand in solidarity with women and face gender inequality together. 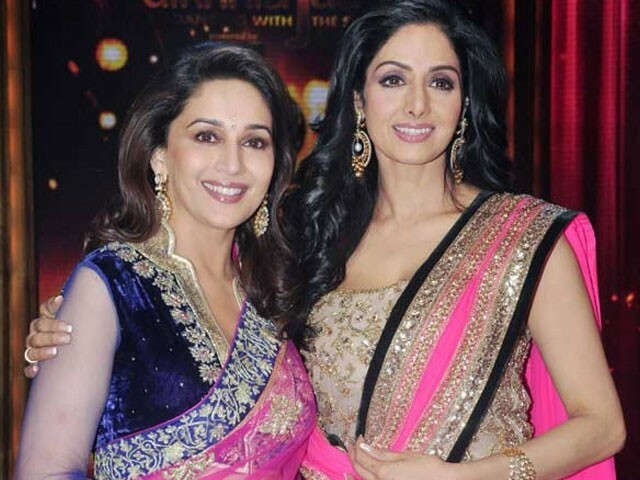 Madhuri will dance on super hit tracks of veterans Hema Malini and Rekha, but the highlight of the performance is scheduled to be a heartfelt tribute to Sridevi. Sridevi’s daughter Janhvi Kapoor and her Dhadak co-star Ishaan Khatter will put on an act inspired by their film at the event, to be co-hosted by Shah Rukh Khan and Varun Dhawan. “This stage is special to me because my mother was a Lux superstar. I am glad to be performing for my first ever awards night with my favourite co-actor and friend Ishaan, since he has always supported me up to this stage in my career,” she said.